When you talk about kitchen, the first thing that comes to mind is the aroma of good food, those heavy utensils and your mom cooking food. But there is no denying the fact that kitchen is the most important part of a home. After all, without it there would be no food. But how many of us actually think to decorate this most important element of our house? Not many, am I correct? So, today we are going to talk about all about beautifying your kitchen, with something that might come as a surprise for many i.e. Persian Rugs! You don’t always need to have a full sized rug that covers the entire visible portion of the floor. 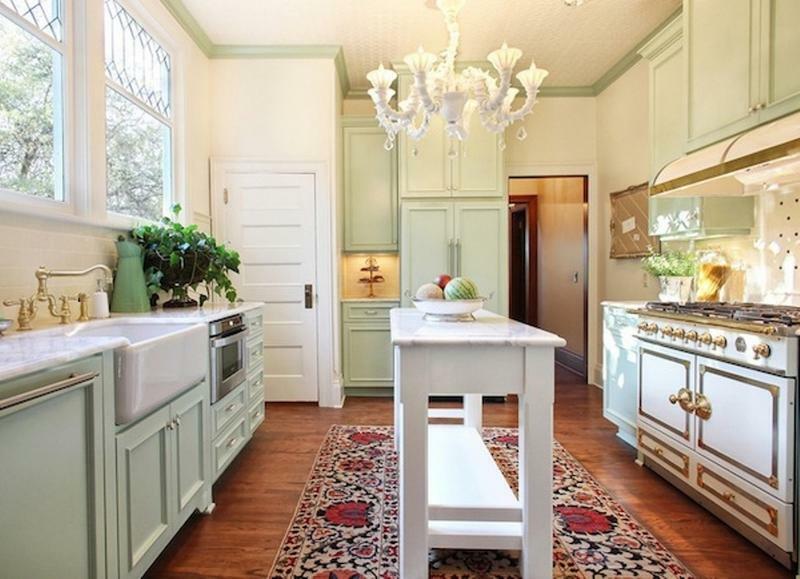 Add an element of color and beauty to the cooking area, with a small colorful rug in the center of it. 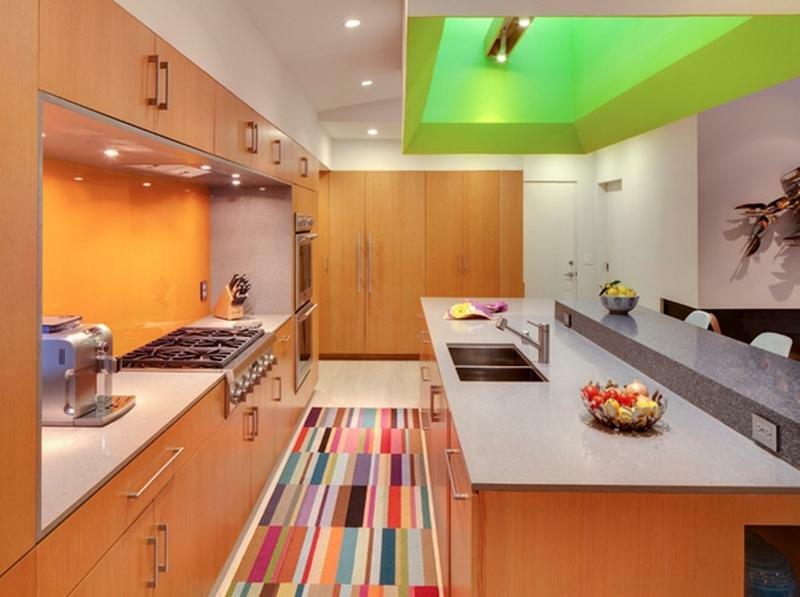 This can work particular well, if you have a single color in the kitchen. Rather than going for the renovation work to make it look more appealing, simply throw in a colorful rug and make it pleasing to the eye. We all have those dark cabinets in the kitchen to store all the stuff. 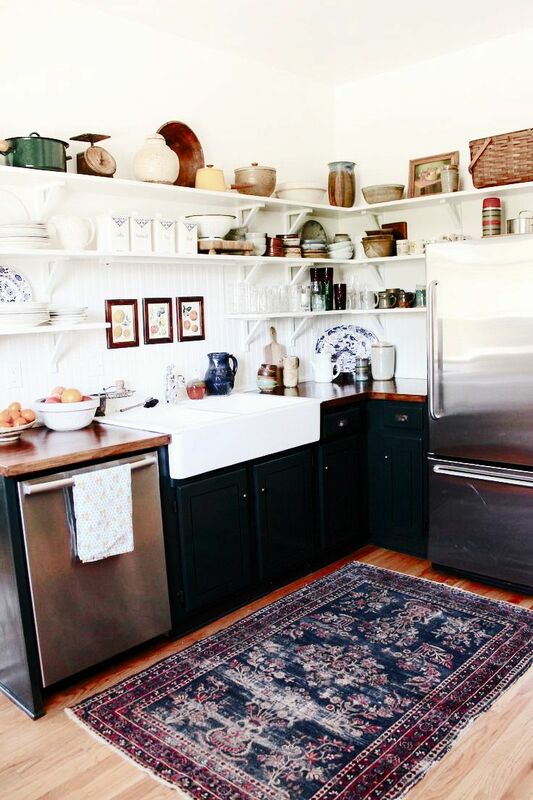 To make the most of those areas, using a rug that complements those cabinets can be just the perfect idea. Throw in a bright colored rug under those dark and shady cabinets to perk up the entire kitchen ambience in the easiest possible manner. Another creative way to add these rugs to the kitchen is by inculpating something subtle like a natural toned Persian rug in the running area in the kitchen. This will add an element of panache in the area, which can be pleasing to the eye rather than having an empty floor. You can give it a try and see how it works. While many people still believe that using rugs in kitchen won’t be that good an idea, considering the amount of spills and falls it faces, but using them can be great addition to beautify the entire ambiance. You can check out plenty of online pieces of advice as to how you can incorporate them to various areas of your home. As far as buying or cleaning them is concerned, you can always visit someone like http://www.yourrugnrugs.com/ to get it all done! Why You Should Buy Handmade Rugs Rather Than Machine-Made Products? Rugs – the best way to make your home beautiful, and unique!